Cute, shabby-chic décor has taken weddings by storm over the past couple of years and it's relatively easy to achieve this fashionable look at your own wedding celebration, even in a tropical destination like Thailand. One of the beauties of hosting your wedding in one of Thailand’s gorgeous private villas is the fact that you are free to personalize your décor scheme in whichever way you wish. Whether you fancy a traditional floral theme or a rustic seaside look, your dedicated wedding planner will be able to help you put it all together. Shabby chic is one of the top choices for style conscious couples and with a little creativity, putting together a vintage look is fairly straightforward. If you’re planning a DIY shabby chic wedding theme, jars are the first items you will need on your accessory list as they can function in so many different ways. 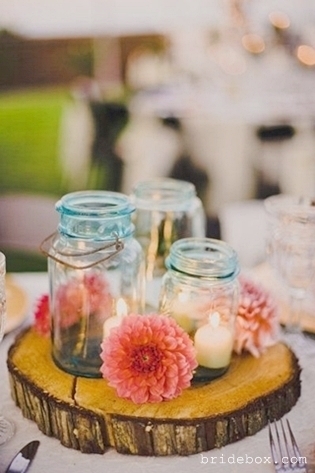 In the daytime, jars can hold bouquets of colourful flowers for your table centerpieces. To add a more decorative flourish, simply tie a ribbon in a bow around the jar or even paint it in a colour that matches your theme. In the evening, jars become the perfect tea light holders for the flickering light of candles to bring a warm, friendly ambience to your celebrations. Pulling off shabby chic is all the more simple when you have the perfect bunting to hang around your villa. For a traditional look, prepare triangular patches of mismatched yet colourful fabrics to hang around inside the villa and around the pool. Cute lace bunting will also help you achieve a stunning vintage effect. 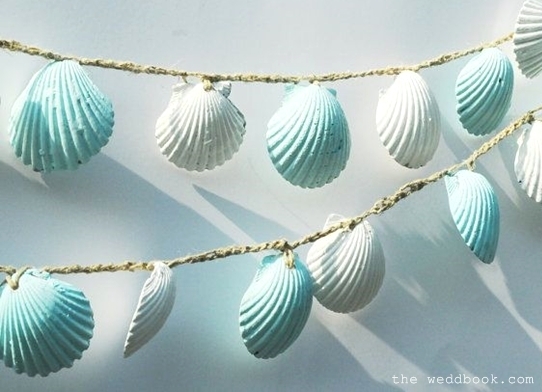 If you want to incorporate the seaside surroundings into your décor theme, why not make some of your bunting out of shells or small pieces of driftwood? If you have flower girls and page boys to entertain before the wedding, send them on a shell hunting quest a few days before the celebration. Then, get them to paint the shells in an array of tropical colours before hanging them throughout your private villa. For a shabby chic wedding theme that’s a little more quirky, try positioning some “Alice Arrows” at the entrance of your villa wonderland. 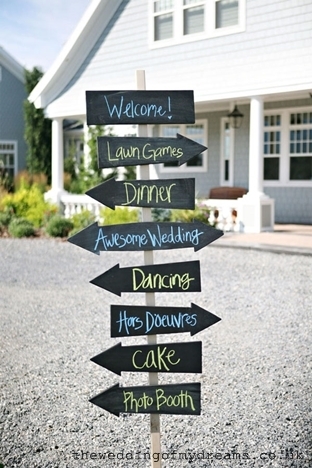 Chalkboard signs are quick and easy, as long as you have some colourful chalk and someone with good penmanship skills on hand to write the signs out. Alice arrows will be able to direct guests around your villa’s fantastic facilities as well. For example, thirsty guests might want to head straight over to the bar for some refreshments, whilst guests with little ones might be more interested in finding their way to the games area. An increasing number of brides and grooms choose to entertain their guests by displaying young (and sometimes embarrassing) photographs of themselves at weddings. Add a truly vintage touch by printing your old snaps in black and white rather than colour. 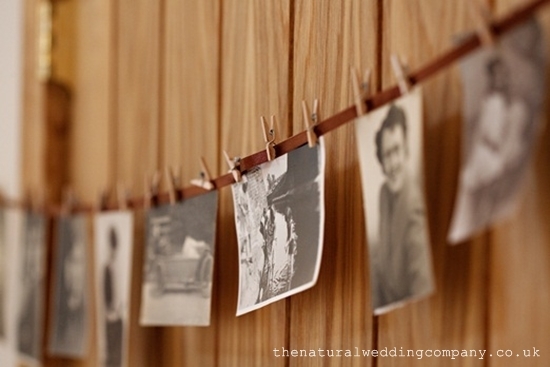 Then instead of putting them in frames or tacking them to a wall, inject a little fun by creating a photo washing line. Once you have strung out your line somewhere for guests to enjoy, hang each photo up with a wooden peg – what could be more rustic (and simple to prepare) than that? For couples hosting their wedding celebration in an unusual location such as on an island in Thailand, it's a great idea to incorporate vintage maps into the décor . IN fact, if you combine your vintage map with bunting – the all-time shabby-chic favourite – you’re onto a winner. 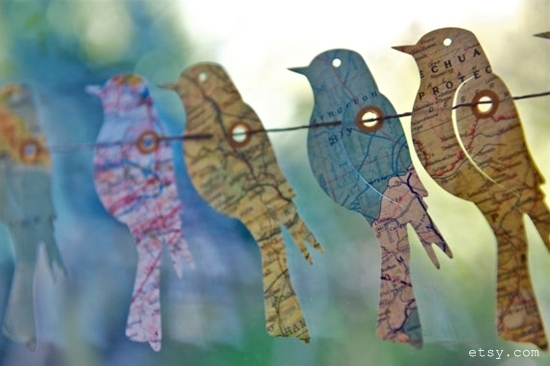 Make your own paper garlands from old maps of Phuket or Koh Samui, for example, then cut out unique shapes from the maps, thread them onto a cord and you’re done. Hearts, birds and even flowers all infuse a charming feel.